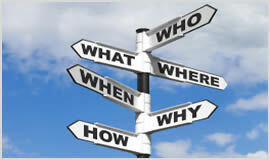 With excellent professional and highly skilled detectives Stockton-on-Tees Investigators are the detectives to choice. We provide many services and pride ourselves on being the best in Stockton-on-Tees and the surrounding areas. Whatever your situation, either business related or personal at Private Investigators Stockton-on-Tees will have a solution. Lie detector test in Hemlington. When you are in a bad situation like being harassed by anti-social neighbours or you have become a victim of fraud it is hard to know who you can trust. At Stockton-on-Tees Investigators take pride in our commitment to helping people, especially in Stockton-on-Tees , Thornaby, Yarm, Hemlington and Eaglescliffe. Give us a call today on 01642 699 064 or email in total privacy contact@privateinvestigators-stockton-on-tees.co.uk. We are waiting for you.